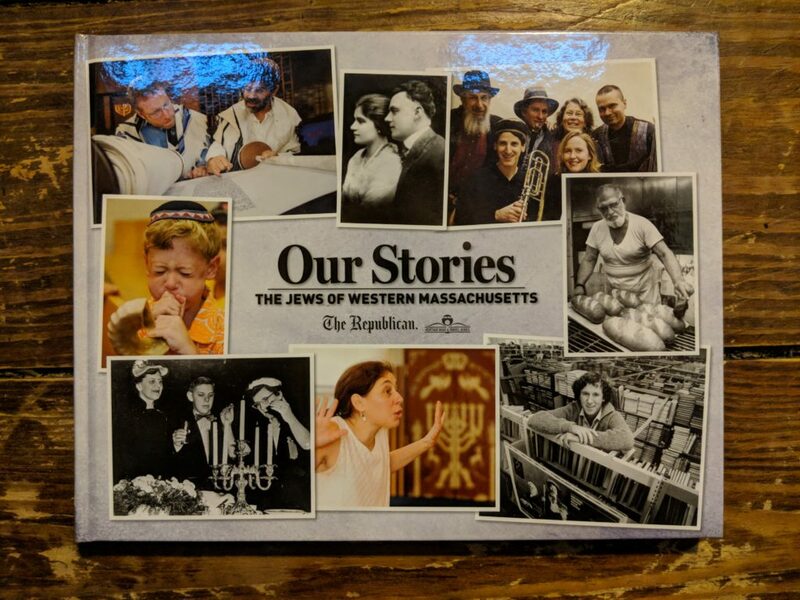 A cohesive look at the Jews of Western Massachusetts, done by the Republican as part of a heritage series. It’s always worth noting when a community begins to look at itself. In the mid-19 th Century, itinerant peddlers started coming to this part of Western Massachusetts, the area defined by the Connecticut River and linked to major urban centers by the railroad. The peddlers became dealers in paper, metal, and scrap. Some opened shops…dry goods, bakeries, fish markets, and clothing. These businesses were passed down from father to sons (usually). The communities where they settled were mainly Springfield, Holyoke, Northampton and Greenfield. The tradition was to also pass down volunteer community positions. How did local Jews go from being merchants to lawyers and doctors and then professors and artists? come back to their home towns to practice. Each town has its own story. There is nothing unusual about this narrative. It has happened everywhere and repeatedly. This is the way communities grow and change and grow again. Starting in the 1960’s, newcomers arrived. 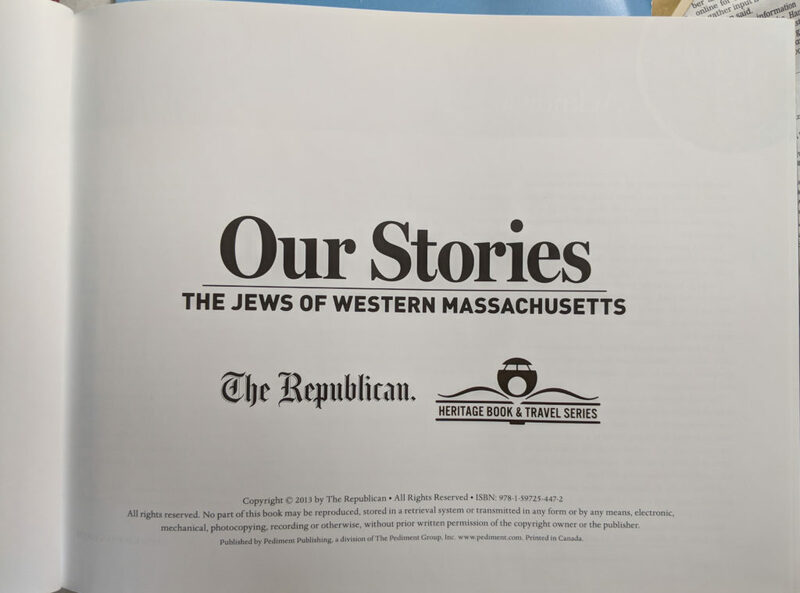 Jews came to teach at UMass. They came to study and stayed on. They also came to join communes and go back-to- the-land. All these new arrivals came on their own, without the traditional support of the multigenerational family structure. They were unhindered by either expectations or limitations. 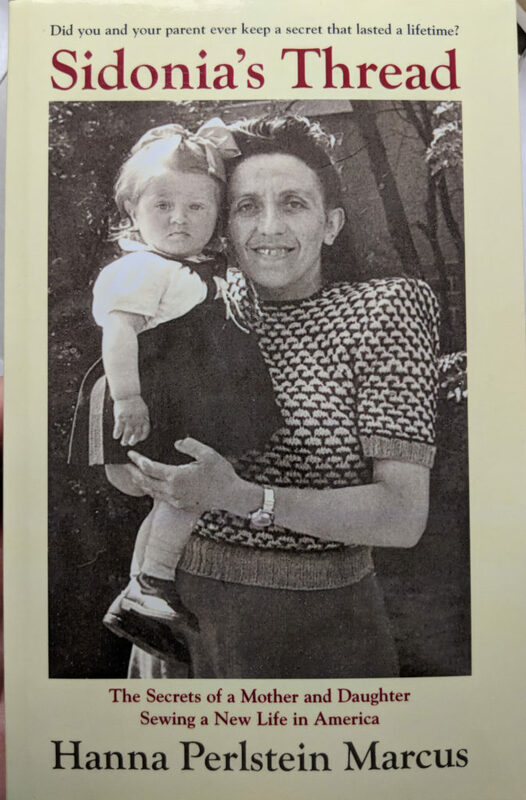 Out of this assortment of individuals who randomly gravitated to this region grew a synergy that can certainly be called a renaissance of Jewish life. What contributed to this blossoming? thrives in an old firehouse. Chabad has several welcoming outposts. A Hebrew calligrapher, a sofer stam, leaders of the Jewish Farm Movement, a kosher chicken farmer, a fair trade and kosher coffee roaster, a kosher pickle maker, many non-pulpit rabbis teaching classes, many Jewish artists and musicians…they all settled here. There are Jewish film festivals, music festivals, lectures and cultural events everywhere. And many have been supported by the Grinspoon Foundation, a Jewish philanthropy. This astonishing critical mass has transformed the Pioneer Valley into Emek heHalutz! 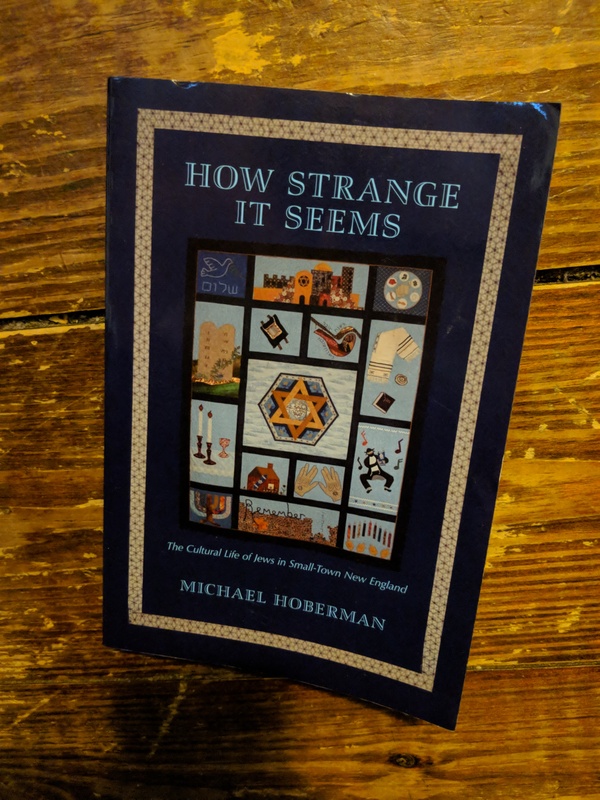 JHSWM board member Michael Hoberman documents the small-town life of Jews in New England. Click here to listen to Michael's interviews with Jewish families in and around New England! A mother and daughter's secrets come unraveled in this tale of an immigrant family rebuilding their life in Western Massachusetts. Written by the daughter, Hanna Perlstein Marcus. 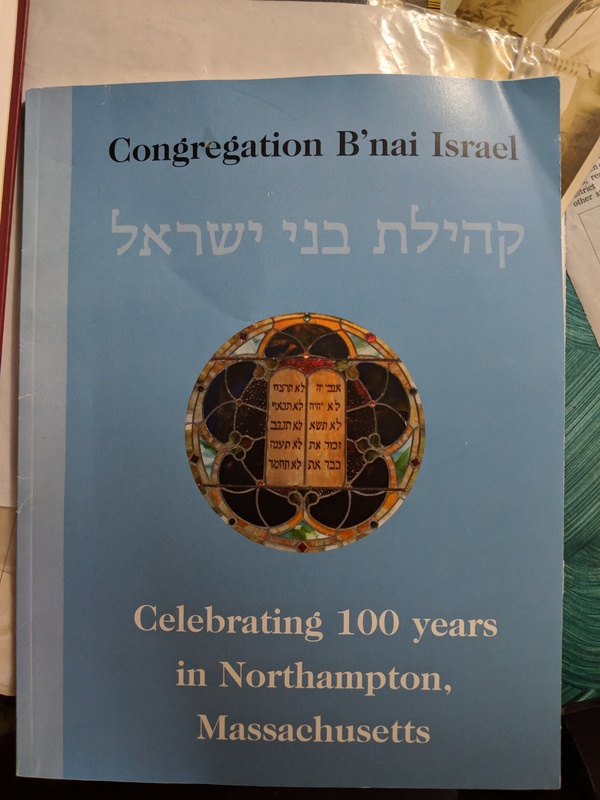 Chronicles the 100 year history of the Northampton congregation. 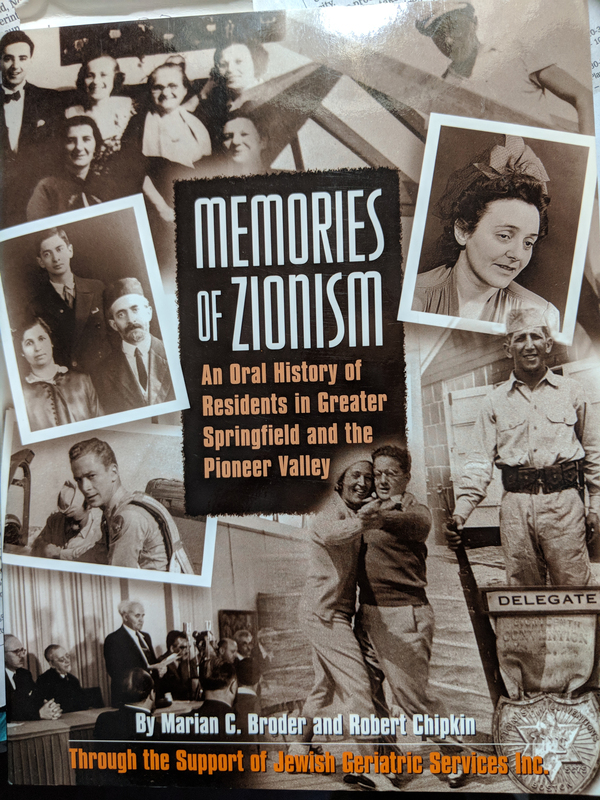 Marian Broder and Robert Chipkin retell the histories of Jewish residents across the Pioneer Valley. 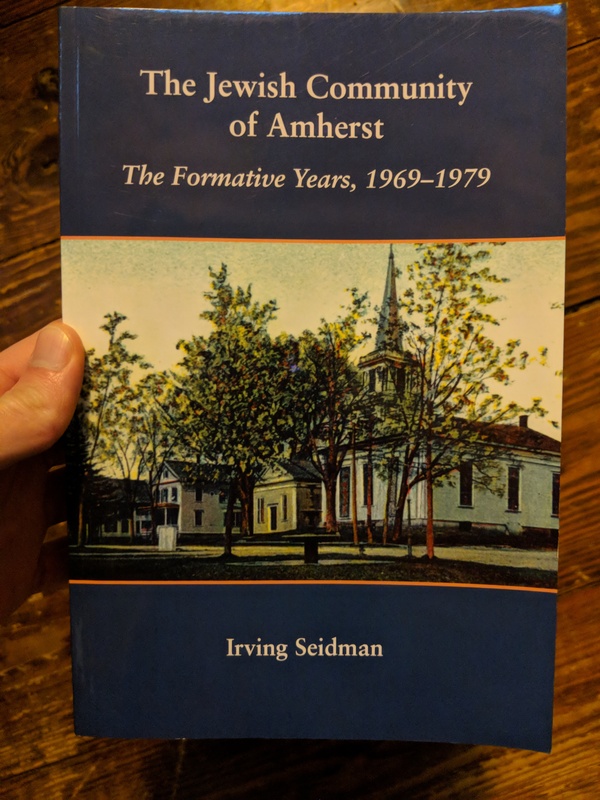 Irving Seidman's story of the 20th century rise of Amherst's own Jewish community. 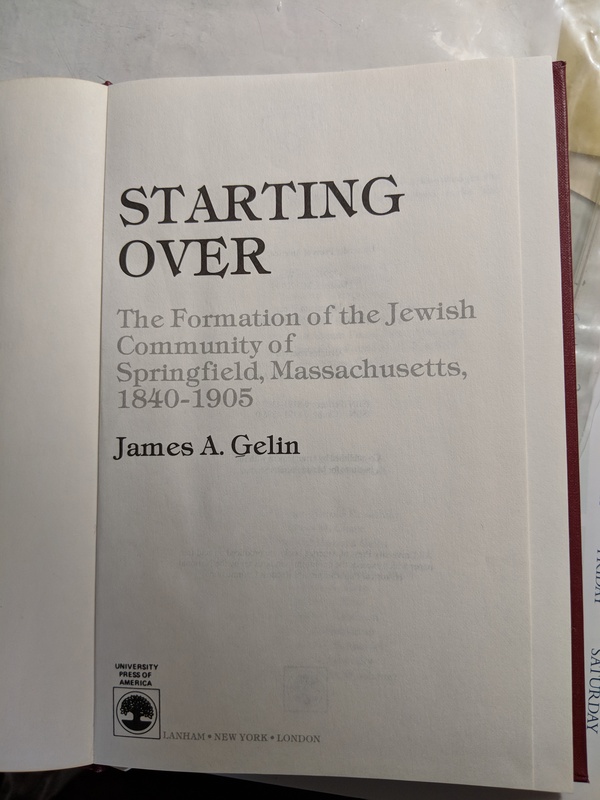 James Gelin's chronicle of the Jewish community's development in Springfield across the 19th century. Please use our contact form if you have any questions, or if are interested in donating, preserving documents, or adding your story. We look forward to hearing from you.